(LWI) - For Cedrick Yumba Kitwa, the 500th Reformation anniversary sub-theme “Creation – not for sale,” is a call to turn attention to what is happening in Africa’s largest rainforest. Two years ago, he reached out to young people across the Evangelical Lutheran Church in Congo (EELCO) to launch a reforestation and environmental education project in the Democratic Republic of Congo (DRC) Katanga province. There is good reason for the EELCO youth to be concerned. While half of Africa’s total forest cover is spread across DRC’s 2.3 million square kilometers, an assessment by the United Nations Environmental Program (UNEP) in 2011 warned of alarming trends such as increased deforestation, depletion of species, heavy metal pollution, land degradation from mining, and an acute drinking water crisis, leaving millions without access to potable water. On the other hand, the voluntary Climate and Clean Air Coalition, of which DRC is a member, says the government has a national policy to lower emissions from deforestation and forest degradation, and works with local communities to reduce climate change impact on agricultural production and food security. Kitwa, who was the EELCO delegate to the 22nd UN Conference on Climate Change in Morocco last November, says he is now ready to start the second phase of the project, with a focus on environmental education in primary and secondary schools, and meeting charcoal traders to sensitize them about the effects of cutting down trees for fuelwood. “Even if the world is talking about climate change, other countries don’t necessarily know its true impact as we see it here in Congo. We need to continue climate justice efforts every day,” Kitwa added. Even if the world is talking about climate change, other countries don’t necessarily know its true impact as we see it here in Congo. We need to continue climate justice efforts every day. 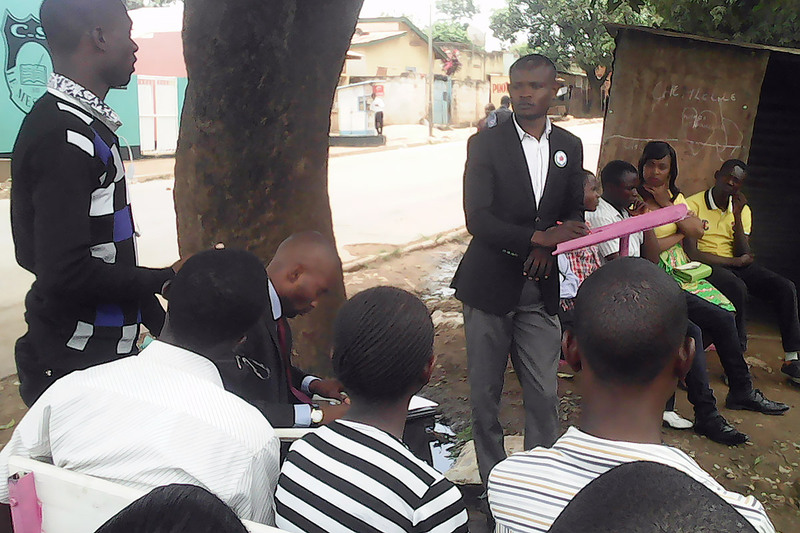 “As Congo youth, we can change this situation and participate in correcting climate change,” Kitwa adds. The EELCO initiative is one of the 54 Living Reformation projects inspired by the anniversary and carried out uniquely by youth in LWF’s member churches.